V for Victory! 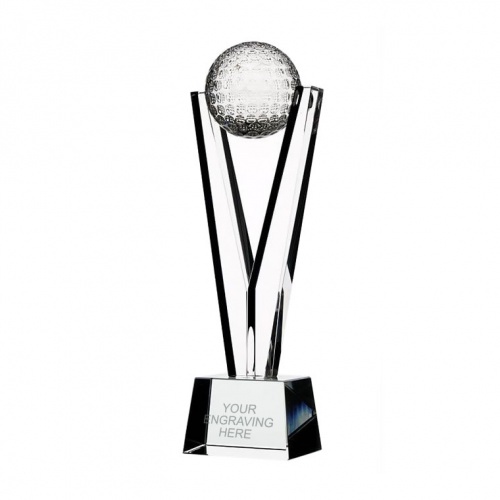 These stylish crystal golf awards feature a detailed optical crystal golf ball suspended between two clear crystal spars in a Victory-V shape. Standing 7.5in (190mm) tall, these golfing trophies are set on a clear crystal bevelled base. The base is perfect for engraving with event or achievement details, and these golf ball awards are offered with both text and logo engraving options. Each crystal award is supplied in an attractive foam lined presentation box.